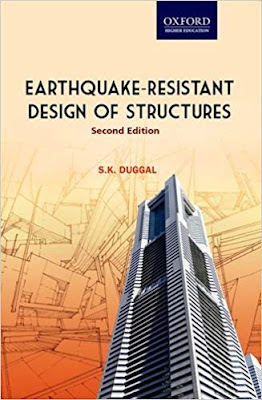 This book introduces and explains all aspects of earthquake-resistant design of structures. Designed as a textbook for undergraduate and graduate students of civil engineering, practising engineers and architects will also find the book equally useful. It has been assumed that the reader is well acquainted with structural analysis, structural dynamics, and structural design. accordance with the BIS codes. 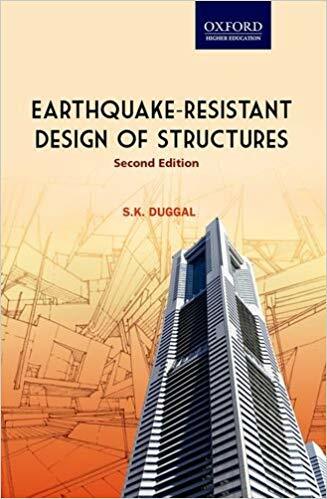 This book contains 11 chapters, which comprehensively discusses the design of earthquake-resistant structures. Starting with the elements of earthquake theory and seismic design, dynamics of structures and soils and their seismic response, the book goes on to elucidate the conceptualization and actualization of the design of earthquake-resistant structures. Detailed seismic analyses of different types of buildings, such as masonry, timber, reinforced concrete, and steel buildings, follow. Finally, a comprehensive discussion of the behaviour of non-structural elements under seismic forces and an analysis of the 2001 Bhuj earthquake are presented as concluding chapters.